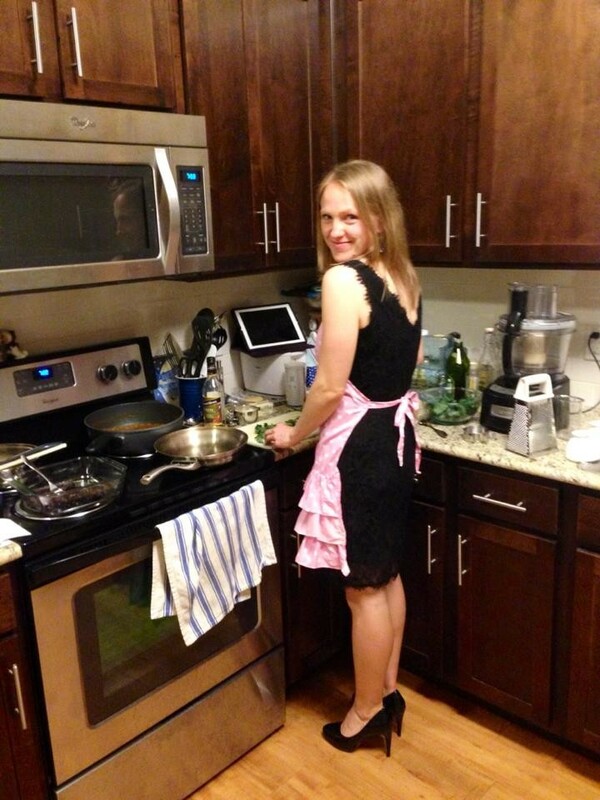 Yes, I always cook in heels (just kidding). I am a big believer of food being a fun, delicious, and enjoyable part of life. Succumbing to fad diets, unnecessary restrictions, and feelings of guilt in relation to what we eat is no way to live. Unfortunately, many of us do live this way, and, as a result, we end up feeling unhappy about our bodies and ourselves. I’m not very into labels when it comes to what I eat. I eat what makes me feel good about myself and the planet. The overwhelming majority of the meat or fish I consume lands on my plate by way of my husband’s rifle or fishing net. I’m also a supporter of eating minimally processed, organic and non-GMO products whenever possible. Eating this way has brought me peace of mind and better overall nutrition. I have always had a passion for getting creative in the kitchen. I even spent a few months in culinary school. But, following a recipe has never been my strong suit (thanks, Mom). So, it was only reasonable to assume that one day I would create my own collection of recipes. This blog is intended to be a celebration of fabulous, whole foods and how they can be used to create nutritious (and delicious!) meals. I also would LOVE to hear your stories of how healthy, dietary changes have transformed your life! I look forward to meeting you! Looks great sweetie:) love you! Excited about your new recipes!! FYI I watched the trailer for Earthlings after reading your page. Thankfully I don’t know people who can be so cruel and violent, and hopefully I never do. Thanks for checking me (er, my blog 😉 ) out, Amanda! Yes, that film is quite shocking, and heartbreaking. More recipes coming very soon!! Love your blog, love your stories. Your recipes sound delicious. Can’t wait to try them! Loving this blog and recipes! !